One of Asia’s biggest fitness events is bringing together the active and the high-spirited of all ages and from all walks of life. 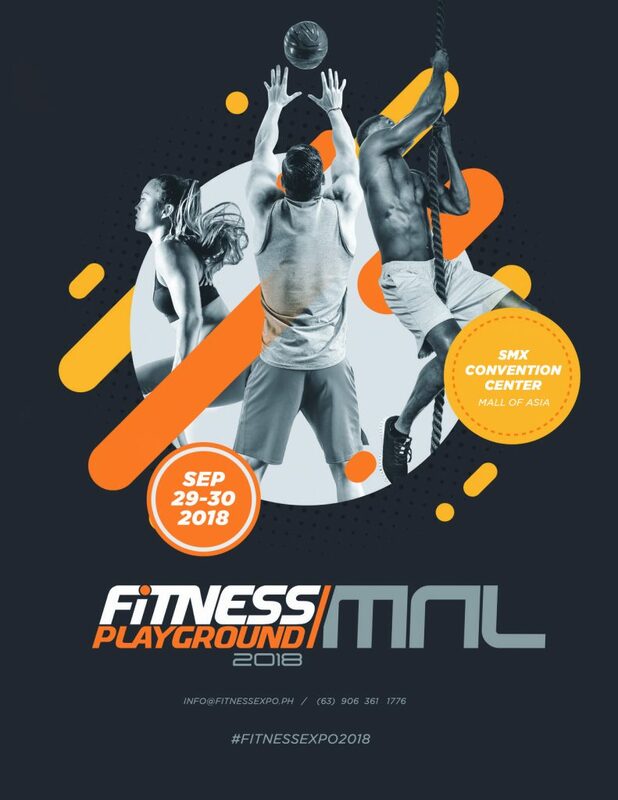 Fitness Playground MNL 2018 is happening on September 29 and 30, 2018 at the SMX Convention Center, SM Mall of Asia.Set to inspire all fitness enthusiasts and newbies alike, the event is the venue for eachand every activity that an individual might want to embark on his or her journey tobecoming fit: zumba, jiu-jitsu, yoga, cycling, CrossFit, circuit training, pilates, and manymore. "We are excited to roll out one of the largest international caliber fitness expositions inthe Philippines and to bring in international athletes like Commonwealth Games goldmedalist and 2017 CrossFit Games' fittest woman Tia-Clair Toomey. Fitness Playground MNL 2018 will definitely be a place to begin or continue your health and fitness journey,"shares Mike Tinsay, founder and main organizer of Fitness Playground MNL.This weekend-long affair is to house one of the largest convergences of fitness brands.See a myriad of apparel and equipment labels come together in celebration and supportof taking one step closer to a healthier lifestyle.Co-presented by Hollow Rock Gear and other sponsors, Fitness Playground MNL 2018 also showcases the latest from the industry, paving way for gyms, studios, wellnesscenters, and coaches to share their knowledge through nutrition talks, fitness workshopsand demos. Attendees will also get access to exclusive deals, sales and other promosfrom participating brands.Tickets priced at P350 (one-day PlayPass) and P550 (two-day PlayPass) will beavailable soon at smtickets.com, all SM Ticket outlets, and other partner stores. To know more about them, like them on Facebook (link), follow us on Instagram (link) or visit our websiteat (website).A playground, a play park, or a play area…no matter how you coin it, one thing’s forsure: it’s a place where physical coordination, strength, and flexibility is developed.Commit to get fit and let us all ignite the fitness revolution!